Hailey Bieber Spends the Day with Husband Justin’s Mom! 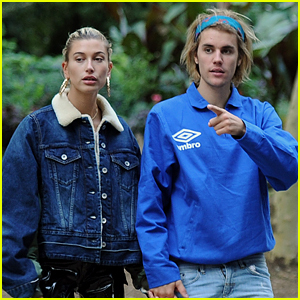 | Hailey Baldwin, pattie mallette | Just Jared Jr.
Hailey Bieber Spends the Day with Husband Justin's Mom! Hailey Bieber arrives at a frozen yogurt shop with mother-in-law Pattie Mallette on Sunday afternoon (March 24) in Los Angeles. The 22-year-old model looked pretty in a silver dress and tan dress as she spent the afternoon with husband Justin‘s mom. The day before, Hailey and Justin were spotted stepping out for a quick bite to eat at Uroko Cafe in Costa Mesa. If you missed it, Hailey posed in ROXY‘s new Sister collection of swimsuits and bikinis!